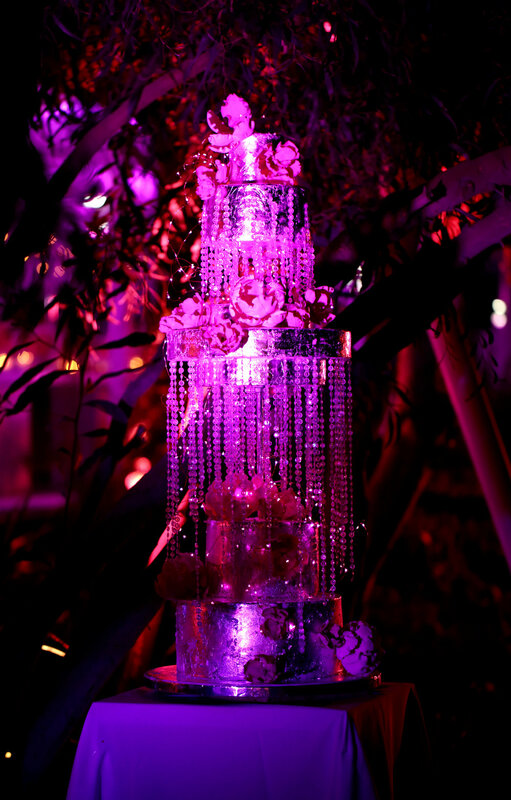 A stunning centrepiece for a luxury celebration. Completely bespoke design for your most lavish event. Magnificent cake adorned with exquisitely detailed decorative design. It is advised to contact us at least 3 months in advance. To compliment 40 shades of pink theme, Yiamy® created an all-white-gold Designer Birthday Cake as an exclamation point of the event. Edible white gold leaf enrobes all tiers of the cake while rose Sugar Flowers add a touch of feminity and delicacy. 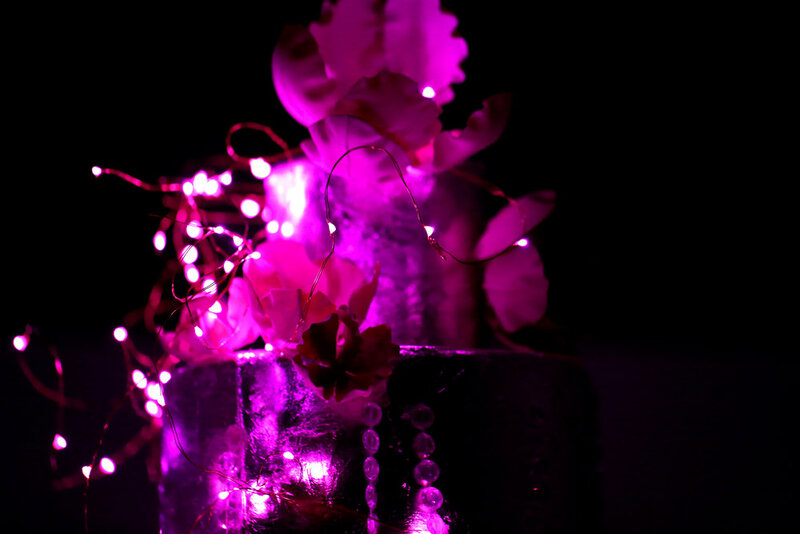 Crystal diamonds flow down the cake, adding a glamorous sparkle. 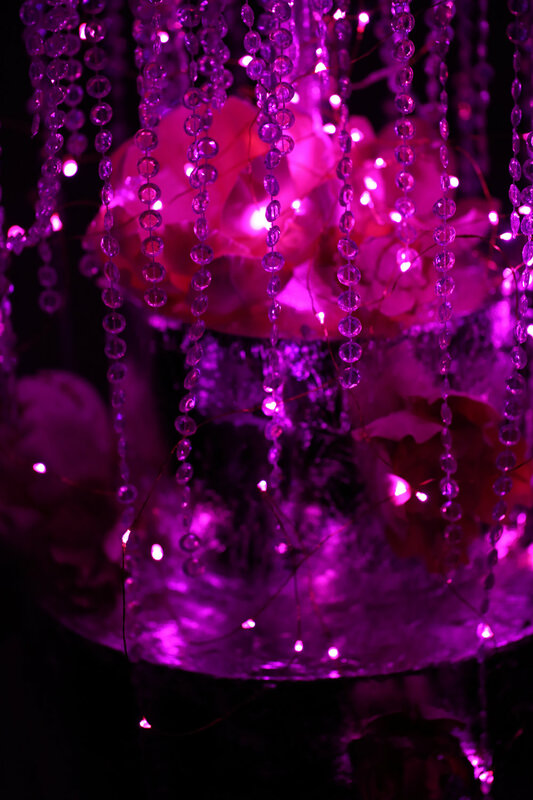 The cake is illuminated, thus creating 40 shades of pink, as the crystals catch the light. Yiamy® is where Design meets Culinary Arts.